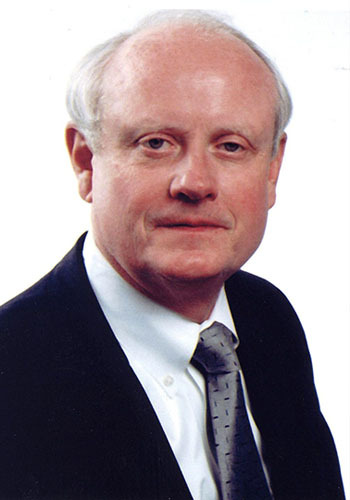 James H. London - Mediator based in Knoxville, Tennessee. If you’d like a list of available dates for James London, please submit a request below. You will hear back directly from James' assistant, Sherry-Lynne. James H. London was born in Baltimore, Maryland on December 12, 1949. He is a graduate of the University of Tennessee (B.S., 1971; J.D., 1974). Mr. London served as a law clerk for the Third Judicial Circuit, State of Tennessee (1972 1974), a Captain in the United States Air Force, Judge Advocate Department (1974 1978), Assistant Professor of Business Law at Allen Hancock College in Santa Barbara, California (1976 1978), and has been in the private practice of law since 1979. Since 1999, Mr. London has regularly mediated civil cases with a very high settlement rate. To date, he has settled more than 500 cases for attorney across the state. Mr. London is a Master in the American Inns of Court, and an approved mediator for both the United States District Court, Eastern District of Tennessee and the Tennessee Supreme Court. Mr. London is a Distinguished Fellow in the International Academy of Mediators. He has served as a Hearing Examiner for the Tennessee Board of Professional Responsibility, as a member of the Tennessee Bar Association House of Delegates; Chairman of the Inter-Disciplinary Relations Committee for both the Tennessee and Knoxville Bar Associations, and has been a member of the Board of Governors and Fellow of the Knoxville Bar Association. Mr. London has been awarded the very highest distinction (A.V.) in Martindale-Hubbell s legal ratings. He has personally appeared in court in Tennessee, Kentucky, North Carolina, South Carolina, Georgia, Florida, Alabama, Mississippi and New York. Call the office for rates.